Published by Killings, 27 November 2014. Original post. 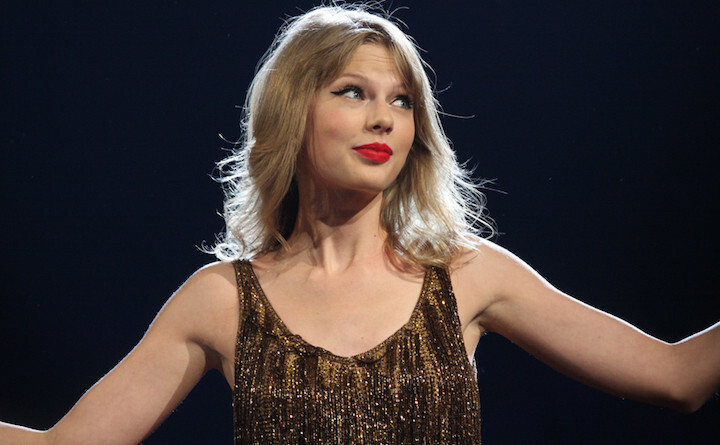 Taylor Swift by Eva Rinaldi (Creative Commons). If there has been an overarching theme to discussions about music in 2014, one that has implicitly or explicitly cast its shadow over the largest patch of music-critical discourse for the year, then that overarching theme is the streaming economy. While Spotify and its competitors (Pandora and Grooveshark among them) have existed for a few years now—practically aeons in internet time—it is only recently that their impact on patterns of musical consumption and on musicians’ and labels’ revenues has truly begun to be felt. Spotify was already the subject of controversy well before mid-2013 when Thom Yorke called it “the last desperate fart of a dying corpse”, and focus on the streaming service has only intensified since. Most recently, Taylor Swift removed her new album 1989 and her back catalogue from Spotify in response to the fact that she and her management couldn’t restrict streams of 1989 to Spotify’s paying subscribers. Published by The Quietus, 20 October 2014. Original post. 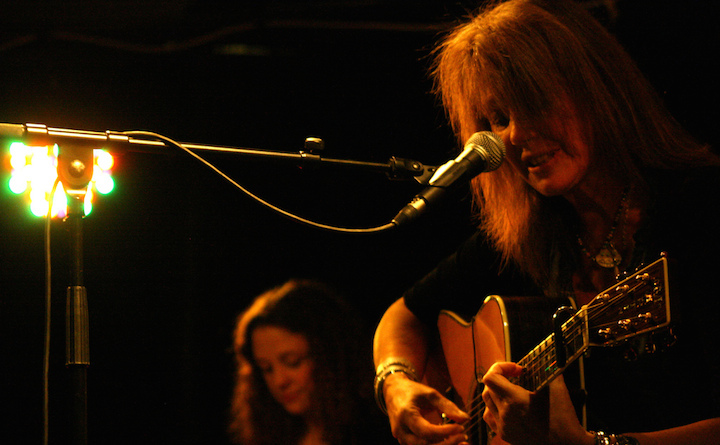 Vashti Bunyan by kDamo (Creative Commons). Vashti Bunyan’s voice, equal parts fragile and beautiful, might well function as a metaphor for her two-part career. First, the fragile: after being discovered at a young age by The Rolling Stones’ manager, Andrew Loog Oldham, Bunyan embarked on a failed attempt at pop stardom. She later broke her contract with Loog Oldham, travelled the length of Britain in a horse-drawn cart in a quixotic attempt to find an artist’s colony set up by Donovan, and wrote an album’s worth of material on the way. The result and her debut, Just Another Diamond Day (1970), was a commercial flop. A dispirited Bunyan consequently quit the music industry. Then, the beautiful: thirty or so years later, after searching for her own name on the internet as a lark, she discovered that Diamond Day had found an appreciative audience in the then-burgeoning ‘freak folk’ scene and that original copies were changing hands for absurd sums on eBay. The album was given an official re-release, and she used the royalties to buy a basic home studio setup that would record her second album, 2005’s critically acclaimed Lookaftering. Now, she has released what will apparently be her third and last album, Heartleap. Published by Spook, 2 October 2014. Original post. 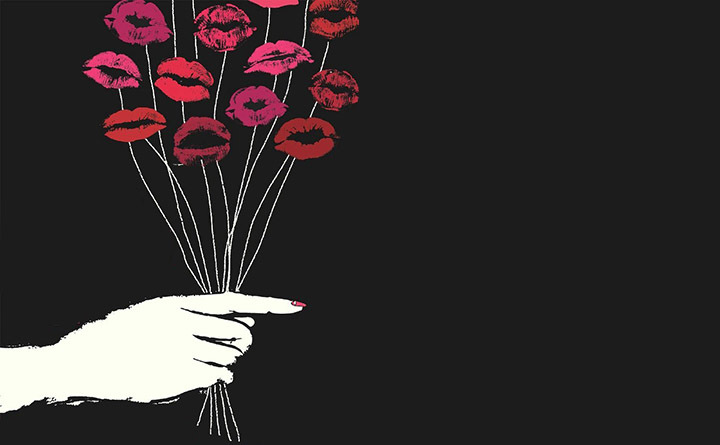 Detail, Cover, Brooke Hemphill, Lesbian for a Year (2014). Brooke Hemphill’s debut book, a memoir titled Lesbian for a Year, raises some very interesting questions—just not the ones that Hemphill herself would like to raise. Rather than focusing on issues of sexual fluidity and the arbitrariness of sexual identity, much of the discussion about Lesbian for a Year has centred around the offensiveness of the title and the memoir’s general conceit, as well as raising questions about how the book ever managed to get published in its current form. Published by Killings, 17 September 2014. Original post. Detail, Apple and U2, ‘Echoes’ (2014). “Hey hey, my my, rock and roll can never die.” Depending on your own tastes and cognitive biases, Neil Young’s famous lyric will now seem more prophetic than ever before—or profoundly misguided. Last week saw the release of U2’s Songs of Innocence in what Apple CEO Tim Cook described as “the largest album release of all time” (if only because a free copy of the album was gifted to all 500 million–plus iTunes account holders). Just prior to that momentous event, Gene Simmons announced the death of rock. This earned him a rebuke of sorts from Foo Fighters, whose new album Sonic Highways will arrive later this year. And not long before that, British rock duo Royal Blood released the fastest-selling rock debut in three years, which rocketed to the top of the UK charts for a week only to be ousted by the very un-rocking Sam Smith. Are these signs of guitar music in robust health, or terminal decline? Published by Killings, 3 September 2014. Original post. Arthur Russell by Tom Lee (courtesy Audika Records). 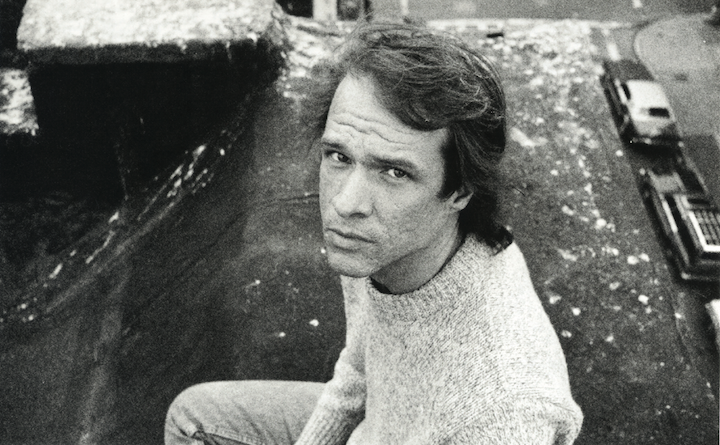 When Arthur Russell died in 1992 at the age of forty, he did so in relative obscurity, having released four commercially unsuccessful albums and granted a single print interview: not exactly a promising oeuvre on which to build a legacy. Yet just over twenty years after Russell’s death, his legacy is in full bloom: a series of posthumous reissues and compilations has amply illustrated his musical virtues; a feature documentary, Wild Combination: a Portrait of Arthur Russell appeared in 2008; a scholarly monograph, Hold on to Your Dreams: Arthur Russell and the Downtown Music Scene, 1973–1992, came out in 2009; and a number of artists have contributed to a series of tribute albums and EPs, the latest of which, Master Mix: Red Hot + Arthur Russell, is scheduled to appear in October of this year. There’s an ongoing shock of delayed recognition at work here: it feels as though Arthur Russell’s time has, finally, arrived. But while his popularity may wax and wane in future, it seems Russell’s time may both never truly arrive nor ever really end. Published by Killings, 20 August 2014. Original post. Big Day Out, Adelaide 2014 by John Goodridge (Creative Commons). Published by Overland (blog), 19 August 2014. Original post. Promotional image from Beyond the Valley’s website. 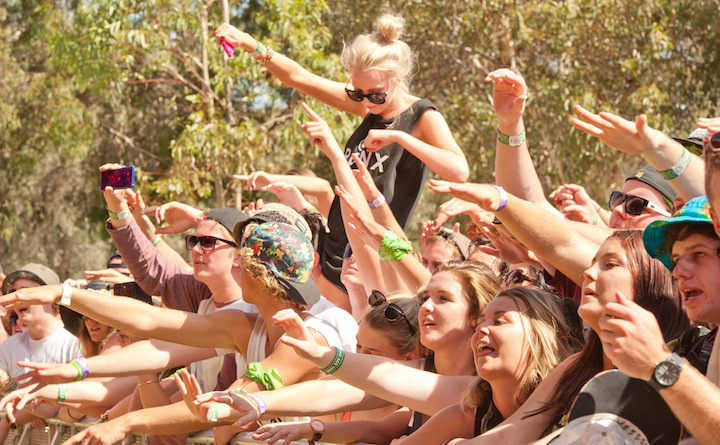 Music festivals are, almost by definition, supposed to have their fingers on the cultural pulse. 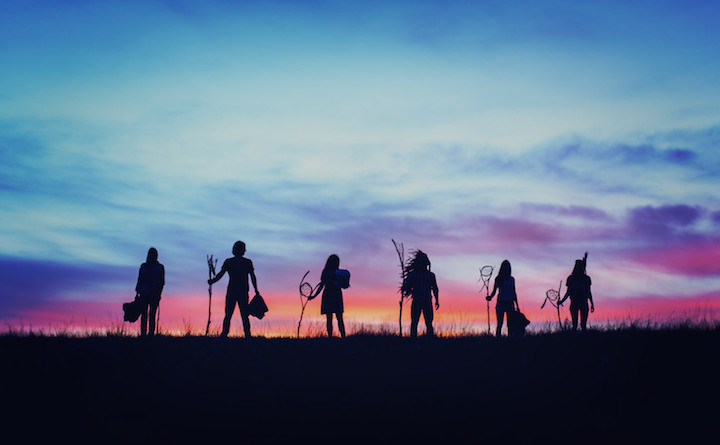 Thus it hardly augurs well that the Beyond the Valley festival—a new player in Australia’s already-crowded music festival scene, to take place on Phillip Island over New Year’s Eve and New Year’s Day—has chosen to promote itself through a series of videos that tick nearly every box of colonial appropriation from Native American cultural traditions. A debate about the use and misuse of war bonnets (traditionally worn only by male warriors of certain Plains Indian groups) has been raging in both North America and the United Kingdom since a Canadian electronic music festival, Bass Coast, advised attendees that war bonnets or anything resembling them would not be permitted onsite. For an Australian festival to launch a publicity campaign that places white Australians in war bonnets front and centre in this climate looks less like carelessness than a deliberate provocation. Published by Killings, 8 August 2014. Original post. Detail, Robin Thicke, ‘Get Her Back’ (2014). 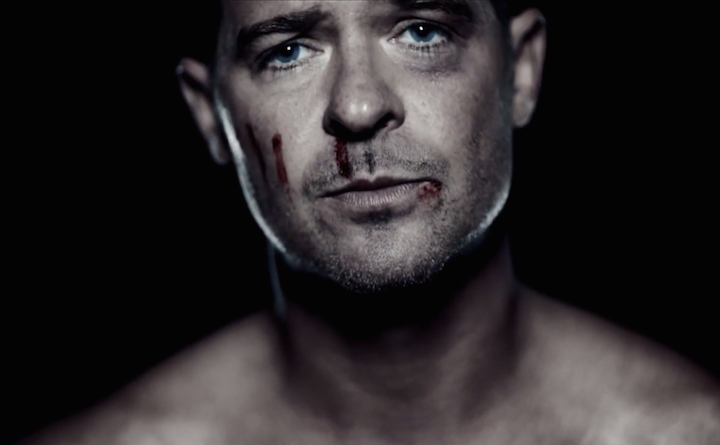 Robin Thicke’s latest album, Paula, is remarkable for a number of reasons. Aside from the baldness of its artistic mission—namely, to woo back Thicke’s now-separated wife Paula Patton—and its startlingly amateur cover design, it has also inverted the old canard that success has many parents and failure is an orphan. Since its abysmal sales in the UK and Australia were first reported, various cultural professionals have been keen to name a definitive cause for its failure. So what, exactly, has caused Paula to sell so poorly that it has already positioned itself as this year’s most memorable flop? The Soft Pink Truth’s Why Do the Heathen Rage? Published by Killings, 3 July 2014. Original post. The Soft Pink Truth (Drew Daniel) by M. C. Schmidt. Note: this article contains and links to explicit material that may offend. 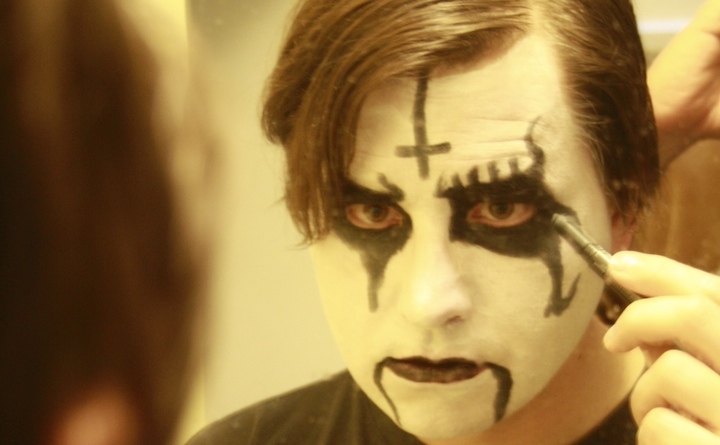 At first blush there’s not much to connect the worlds of dance music and black metal. Dance music is primarily rhythmic, communal and hedonistic in intent, and historically associated with black, latino, gay and trans cultures; black metal is primarily textural and atmospheric, individualist and cathartic in intent, and born from a subculture of white and straight Scandinavian males—violently white and straight Scandinavian males, several of whom have been convicted of hate crimes. Published by Killings, 18 June 2014. Original post. The Knife’s Shaking the Habitual show by Ultra 5280 (Creative Commons).